The Kitchen Key is a gadget I designed and created. 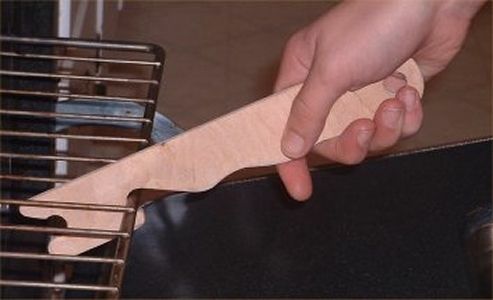 It is used for pulling and pushing hot oven racks and hot pans in and out of the oven. It was designed with a routing jig to facilitate production.